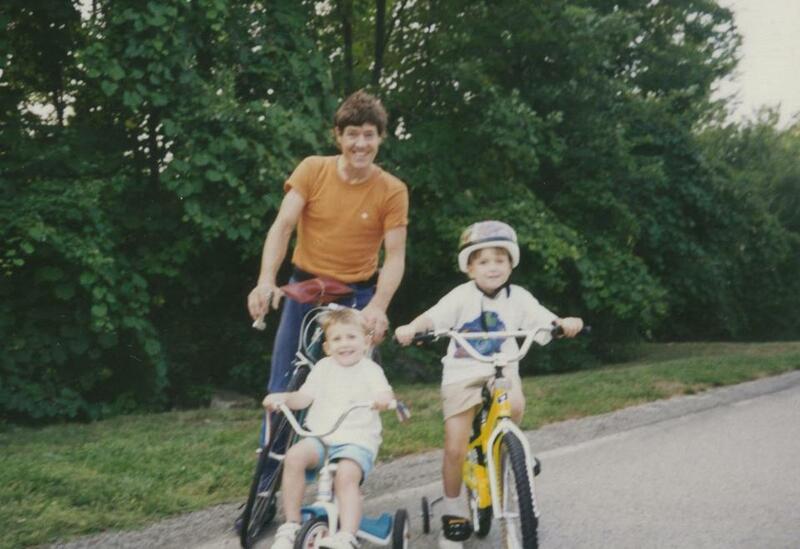 David Scannell in 1994 with nephews Matt and Joe Stieb. WEYMOUTH — He had already been forgiven, but now it was time to let go. As the wake for David Scannell ended Friday evening, the man who put him in a coma 19 years ago sat outside C.C. Shepherd Funeral Service in Weymouth and nervously waited to see the grieving family. When it was time, Scannell’s mother, Barbara, met Daniel Danais in the parking lot and they embraced. Danais was in his early 20s and driving drunk when he struck Scannell, then 39, as Scannell bicycled through Quincy on June 25, 1996. Scannell, an artist and street performer who was always on his bicycle, suffered a traumatic brain injury that left him in a coma until he died Aug. 17 at age 58, his family said. Danais pleaded guilty to several charges, including operating under the influence of alcohol and leaving the scene of personal injury, and was sentenced to jail time, court records show. On Saturday, a spokesman for the Norfolk District Attorney said the office would reexamine the case and decide whether more charges are warranted in light of David Scannell’s death. Danais, now 40, said he owed it to Barbara and David Scannell to attend the wake. Though Danais changed David Scannell’s life forever in 1996, he did not come face to face with him until years later. Danais had gotten in trouble again for drunken driving in 2002 and had to return to court, according to court and driving records. Scannell’s brother, Chris, approached Danais at the courthouse and said it was time for him to meet his mother and brother. The meeting took place at the family home in Weymouth, where Barbara Scannell was caring for her son. 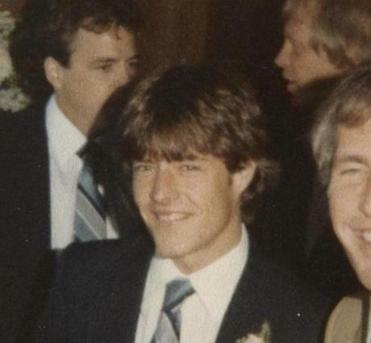 David Scannell at his brother’s wedding in 1984. After the meeting, Danais and Barbara Scannell said, they kept in touch. Danais spent about a decade doing community service at a head injury clinic in Plymouth as part of his probation and updated her about the patients there when they talked. “It’s almost like a relationship you would have with your nana,” he said. A funeral Mass was said Saturday morning for David Scannell in the Church of St. Francis Xavier, which is within walking distance from his family home. Tim Scannell, another brother, gave the eulogy. “Davey’s talents seemed never ending,” he said. Tim Scannell then started to list David’s varied accomplishments: running a marathon without training for it, painting portraits, diving. His mother said David was in tremendous shape when he was injured because of his active lifestyle and came close to death many times while he was in a coma. She said the family does not know what caused him to die after all these years. At the end of the Mass, the pine coffin carrying David Scannell was sprinkled with holy water and brought outside the church. One by one mourners walked by the casket, pausing for a moment to place their hand on top. Many then walked to the family home down the street, where Danais had been welcomed so many years before.